These wonderful teas are unique and exclusive and only available from Dherbs.com. Place tea bag into a cup and add boiled water. Allow the tea bag to steep for 2 minutes. Cool to suitable drinking temperature. Add sweetener of choice (e.g. 100% grade B maple syrup, agave nectar (from sap), or raw honey) and a little lemon juice if you desire. Drink and enjoy warm or cold. Can you drink this while be on the full body detox? Yes, you can add this tea to the Full Body Cleanse. 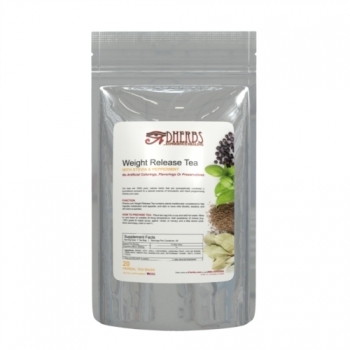 When is the best time to drink the weight release tea? You can drink the tea at any time. We suggest drinking it in the morning time to help speed up your metabolism for the day. Yes, the tea is already in individual tea bags.